What Are Above Ground Pool Lights? They are simple lights that attach easily to an above ground pool area. Often they use LED light bulbs to ensure that they last for a very long time. You will also not have to worry about batteries because most run off of a transformer and 12 volts of power. 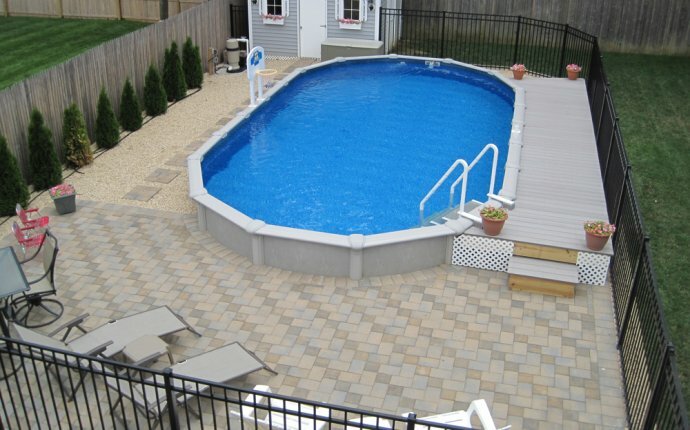 They are safe to use and will never interfere with the pool filtration system. You simply attach these lights to the areas around your above ground pool to eliminate dark areas. Then when you want to be in the pool after the sun goes down, you simply flip a switch and the lights come on. Consider the way that normal lights around the pool can turn your pool area into an area that bugs love to venture into. Do you enjoy swimming with moths, mosquitos, and other night-time insects? Most people do not. Above ground pool lights are a great way to light up the pool, without drawing insects in to investigate. These lights create a different atmosphere in the pool after sunset. Some of them have different color lenses to change the light’s color. With this you can have a rainbow in the pool to make it a more romantic area for you and your partner to relax together at the end of the day. These colors can also liven up the pool area if you have been partying and are not ready to go inside because of darkness. Above ground pool lighting is also a great way to increase the safety of your pool, especially if you have a larger pool or have your pool in an area that is not well-lit during the night. You will be able to see where everyone is inside of your swimming pool. If children are present, they will not have an area that you cannot see them because even under the water will be lit up, no matter how dark it is outside. This pool light installs on any above ground swimming pool by simply attaching to your pool’s return line. This means no cutting or resealing for you, you only have to take off the cap on your return line and replace it with the lighted one. You turn it on and off using a switch, it will not hinder your pool filter, and it is completely safe to use. In the box you will get everything you need, including instructions, the light, a 12volt transformer, and a 25 foot cord. With this above ground pool light underwater kit, you will get an efficient, low voltage light that uses a 50 watt halogen bulb. You can put it anywhere around the pool by placing it into the wall. The cool thing about this is that you get color lenses to change the appearance of your pool while increasing the safety of it. Installation is easy and the kit includes everything you need, including the transformer, cutting tool, and a 25 foot power cord. Instructions are included and they are easy to follow. As long as you do not have metal pool walls, the Intex magnetic light could be ideal for you. It will light up as much as 18 feet away with a single LED. You will not have to cut your pool or make any permanent changes to it because the magnetic base and light are two separate pieces that work together through the pool’s wall. You put it where you want it and have light. This Darkbuster Deluxe pool light easily attaches to your vented return and provides you with a halogen bulb that should last up to 3, 000 hours. You can use the white light or put on one of the colored lenses to change the appearance of your pool. It works off of a 12 volt current and within the box you get a pre-wired transformer to operate it. You will also get a 25 foot power cord and the whole kit meets all safety requirements. With this single kit, you get two LED pool lights in one box. You can use it with steel or soft walled pools. Each light is rated at 70 watts of LED power and they attach using only magnets so you can put them only where you want them to be without tools. If you have a very large pool or want more light inside of your swimming pool, you simply purchase additional light disks. It will all hook easily to the transformer which converts a regular plug in down to the required, safe 12V. http://bigapplewindowcleaning.com/ window washing definition of window washing.